Ever Wanted To Send Friends And Family A Funny Balloon. You Can Send Anyone An Anonymous Balloon Gift Online Today From Liverpool, Manchester, London Or United Kingdom. Send To Your Unsuspected Target 100% Anonymously. They Will Never Know You Sent It. 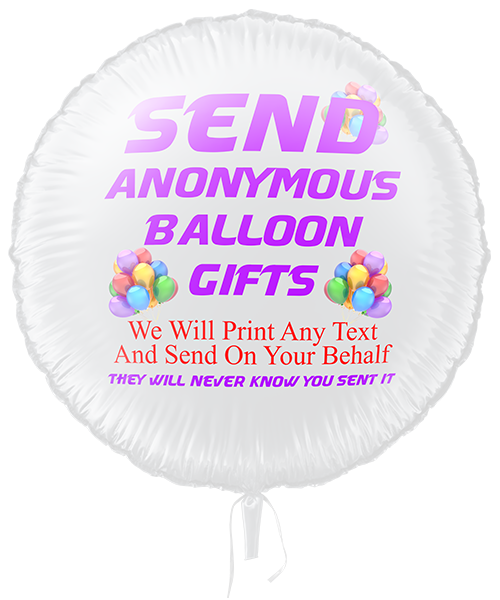 All Our Anonymous Balloons Are Printed On White 18inch Balloon - Select What Colour Font You Would Like Printed.